Do You Work To Learn? Or Work To Earn? Years ago I was asked the interview question, “If you could be any animal, what kind of animal would you be?” And since I recognized that my answer had some value to the interviewer I did what probably everyone does when asked a seemingly pointless question during an interview– I made up a story which made me look better than the other applicants standing in line behind me–an answer that fit into the hiring manager’s culture as I understood it– “an eagle, of course”. GLOW hires virtual assistants and inside sales agents whose clients are real estate entrepreneurs and small business operators. My interview questions usually follow a sales hiring theme–because our clients are predominantly in real estate sales and marketing. My interviews always start with a pitch– the opportunity to learn a specific skill and gain experience which will set them apart from other general assistants and outbound call center agents. Skill and experience that, when mastered, will allow applicants to always maintain a good income– with the possibility of becoming real estate entrepreneurs or freelancers with real experience. Skill and experience which is timely, scarce in the job market, and because of its scarcity, always in demand–it means highly paid gigs. GLOW offers new hires the possibility to learn skills and gain valuable real estate experience no matter what is their long-term plans with the company. 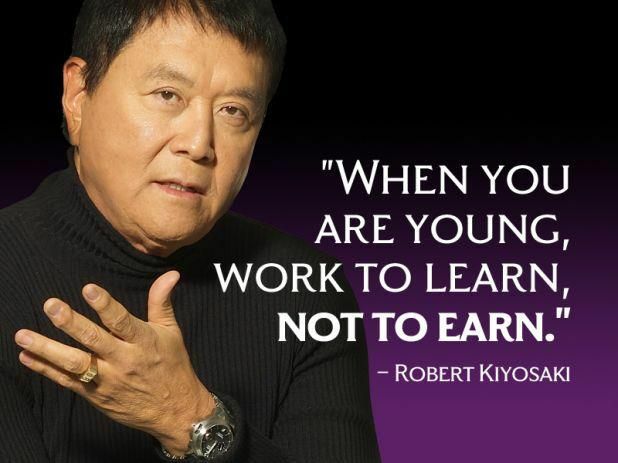 Robert Kiyosaki’s book “Rich Dad Poor Dad” is full of gem quotes–but this one expresses the essential trait of all the successful employees I’ve observed– they jump into the work and learn as fast as they can because they know the value is not in their bank account but in the experience gained from working in the Real Estate industry.